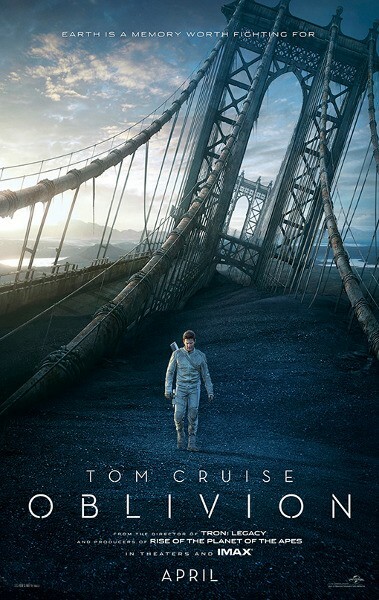 Posted on April 27, 2013, in Science Fiction Movie Reviews and tagged Andrea Riseborough, Film, Joseph Kosinski, Melissa Leo, Morgan Freeman, movie, Nikolaj Coster-Waldau, Oblivion (2013), Olga Kurylenko, science fiction, special effects, Tom Cruise. Bookmark the permalink. 12 Comments. Going to see a movie has become so expensive these days that I won’t bother seeing a movie on the big screen unless it has plenty of special effects. I can understand that David. When it’s digital on the big screen or even 3D, it helps make the investment seem worth it whether the movie is good or bad. I appreciate the comment David. Thank you! Good review. 🙂 Although your review was nicer than mine… Especially about Tom Cruise. Thank you table9. I just read your review also. It was a hard movie to rate, but it definitely kept me entertained and didn’t get too over the top. You mentioned how the use of Morgan Freeman was a waste in the movie. I am a big Freeman fan, but I have to say he is really starting to show his age. I think this has finally showed the most in Olympus Has Fallen. He has always been an excellent character actor, but I think his characters are going to start having less and less screen time. His superstar status continues to help bring in crowds and he is popping up in everything. But, he really hasn’t actually been in much of any film that he has acted in recently. I think he is trying to go out with a bang but with a bunch of smaller roles. 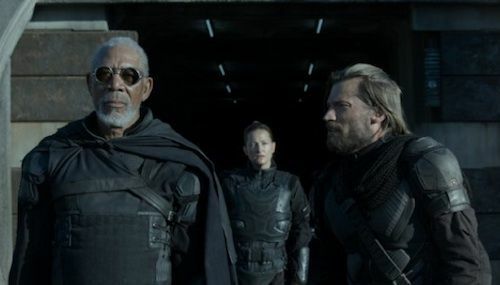 Yeah – Morgan Freeman is getting up there in years. I suppose the last big role was in The Bucket List? It’s a shame – I’d happily watch any movie he’s the main star in. The Magic of Belle Isle (2012) he was the main star, but I never saw the movie. But, I think you’re right about The Bucket List as the last big role. I liked that one a lot. 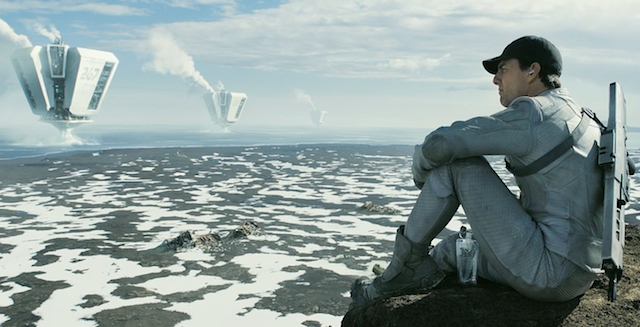 My wife and I went to see Oblivion Sunday afternoon and I loved it. Not only is it one of the absolute best science fiction movies I’ve seen in long long time but the absolute best Tom Cruise movie I’ve ever seen. The special effects were top notch, the story was excellent and like a good book it kept me in suspense wondering what was going on until the end as it revealed the back story bit by bit and two surprise endings that had me tearing up. I’ll definitely be buying this movie to watch over and over again on Blu Ray when it comes out. Thanks for commenting David! I really enjoyed Oblivion. The story really did pull you in. I didn’t figure everything out until the very end. It was kind of a brain teaser. 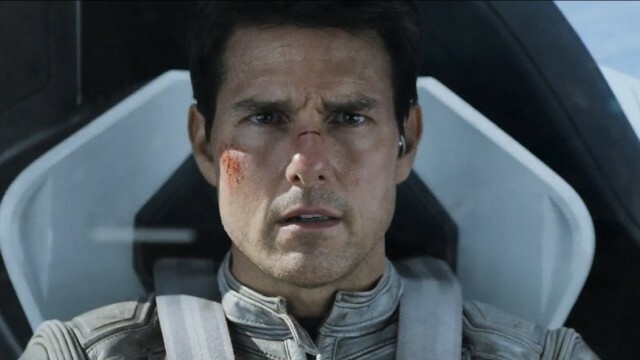 You really can’t go wrong with Tom Cruise. Your welcome. 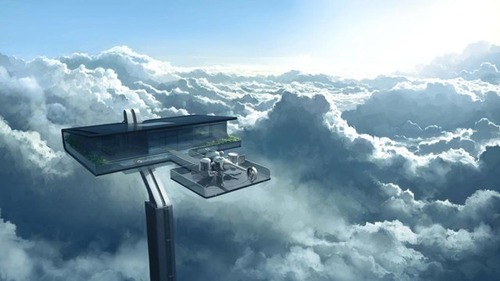 Oblivion had all of the elements a really good story should have but I really liked this concept the best: You can take a man out of humanity but you can’t take humanity out of a man. Our humanity is the key and acts like a nucleus that holds all of the other elements: Love, Loyalty, Friendship etc. together in their proper place. I totally agree. That did make the movie more enjoyable.